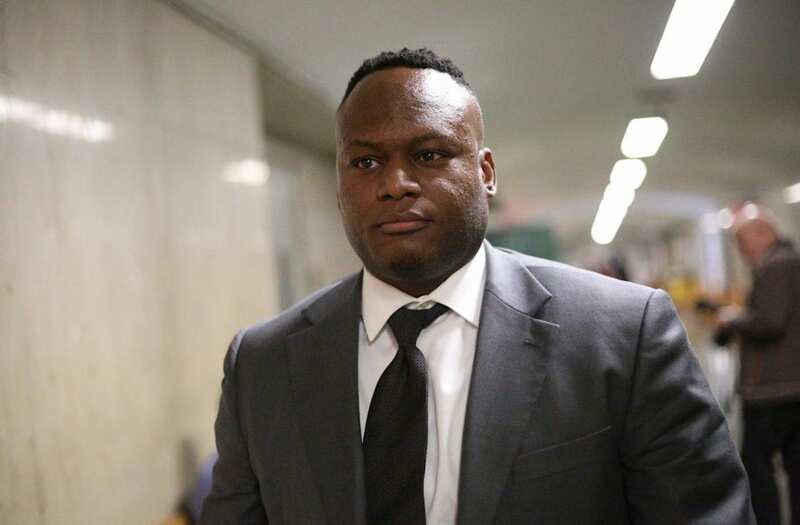 A Queens jury convicted an NYPD detective Wednesday of trumping up a bogus drug case against an innocent man who spent seven weeks locked inside a Rikers Island cell. Detective Kevin Desormeau was found guilty on day two of deliberations before his partner was cleared of any crime after a shouting match erupted between the judge and the prosecutor. While Desormeau sat stoically when found guilty of perjury and making false statements, his pregnant co-defendant Detective Sasha Neve sobbed heavily when the jurors convicted her of official misconduct. The fireworks followed when Judge Michael Aloise questioned the jury’s decision before overturning Neve’s conviction. Aloise disagreed, accusing the prosecutor of “cherry picking” the evidence against Neve. The judge then rejected a defense motion to throw out Desormeau’s conviction. The NYPD partners were accused of falsely arresting Roosevelt McCoy, 48, on drug dealing charges four years ago. Desormeau and Neve claimed McCoy was dealing crack to a woman near Yogi’s Restaurant in the Jamaica section back in August 2014. Desormeau was charged with twice lying under oath about the McCoy arrest. The detectives claimed they discovered 7 grams of cocaine in the suspect’s waistband after handcuffing him. 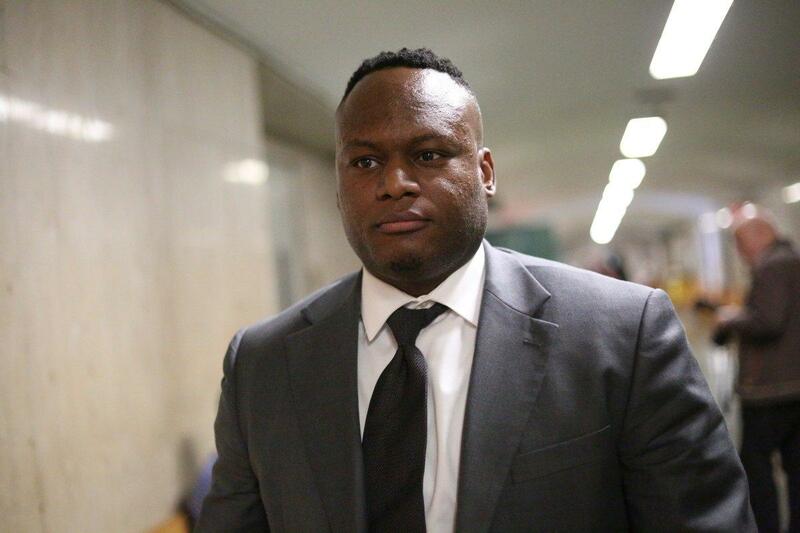 McCoy was arraigned on drug charges and ordered held at Rikers Island — where he remained behind bars for 52 days. The case collapsed in March 2016 after a surveillance video, found by the suspect’s relative, showed McCoy playing pool at the time he was allegedly selling dope. The defense suggested the damning video was somehow doctored. The video also showed Neve taking a bag from McCoy filled with $300 in cash. The bag was never vouchered or returned to him. McCoy collected a $500,000 settlement after filing a lawsuit against the city, Desormeau and Neve. The case and the conviction shattered the good cop image of Desormeau. He was awarded the NYPD's Combat Cross, one of the department’s highest honors, for his role in a Queens gunfight seven years ago. He traded gunfire with a suspect before cops disarmed and arrested the shooter.